The Best Bookkeeping blogs from thousands of top Bookkeeping blogs in our index using search and social metrics. Data will be refreshed once a week. Bookkeeping newsletter is a comprehensive summary of the day's most important blog posts and news articles from the best Bookkeeping websites on the web, and delivered to your email inbox each morning. To subscribe, simply provide us with your email address. USA About Blog The best tutorials, tips & tricks to help you minimize bookkeeping and maximize profits. Facebook fans 155. Twitter followers 2,465. About Blog Learn secrets of good bookkeeping practices in Canada and US with a certified professional bookkeeper. Basic accounting resource for business owners working from home and their bookkeepers. Facebook fans 755. Twitter followers n/a. San Francisco, CA About Blog Whether you're a bookkeeper, small business owner, office worker, or any random person interested in better understanding bookkeeping, find all the information that you need. Facebook fans 1,156,853. Twitter followers 516,435. Cottonwood Heights, UT About Blog Salt Lake City Bookkeeping blog keeps you informed with bookkeeping tips and general business ideas. The mission is to set up customized small business bookkeeping systems that business owners and managers can use as a tool to help make key business decisions. Facebook fans 280. Twitter followers 1,132. Stirling-Rawdon, Ontario About Blog Tammatha Denyes, our founder, dreamt of an accounting business that did more than just data entry. She wanted to make a difference in the lives of the people that connected with her. Our passion from Day 1 has been to help businesses grow at a rate they can sustain and help move them forward in their dreams. Now that sounds like a bunch of rainbows and unicorns, but it it was and is plausible. For that reason, TD Accounting Services was launched in 2012. Facebook fans 1,165. Twitter followers 5,255. Sarasota, FL About Blog Many businesses just don't have the time or expertise to effectively maintain all of their own marketing or bookkeeping processes, so they use Your Virtual Assistant instead. Facebook fans n/a. Twitter followers 49,396. Australia About Blog Founded in 2000, First Class Accounts has grown to become Australia’s largest bookkeeping franchise. Find useful information that suits all your needs. Facebook fans 215. Twitter followers 589. Brisbane, Australia About Blog Miss Efficiency was founded by Sarah Stein who is dedicated to helping business owners get organised. We're passionate about implementing systems, software and process to help business owners get back to what they do best - running their business. Facebook fans 1,428. Twitter followers 192. Bridgewater MA About Blog Our Mission is to provide a comprehensive remote bookkeeping and accounting service, that is convenient, secure, reliable, affordable. Here you will find all answers to your questions on cloud bookkeeping and remote bookkeeping. Facebook fans 1,521. Twitter followers 9,815. Salisbury, Wiltshire, UK About Blog Sandra Silk Bookkeeping and Business Services was established in 2003 to provide reliable, efficient and flexible bookkeeping and payroll support to businesses in Wiltshire. Our blogs give news, business and legislation updates for small businesses and keeps you up to date with relevant changes. Facebook fans 60. Twitter followers 548. Australia About Blog Reliable bookkeeping service provider believes in providing quality bookkeeping services that will help you to focus on key areas of your business. Visit the blog for all your bookkeeping requirements. Facebook fans 393. Twitter followers 244. About Blog The Brigade Bookkeeping team understands that small and medium sized businesses depend on their financial stability and growth to remain competitive in the current business climate. We have created a company that offers the total solution for your small business accounting needs. Facebook fans 1,099. Twitter followers 1,617. About Blog The Bean Counters Bookkeeping provides virtual bookkeeping services for small businesses. Find information on payroll services, budgeting, record keeping & more. Facebook fans 1,060. Twitter followers 501. Pyrmont Australia - Wellington New Zealand About Blog I enjoy bringing things back to life by identifying the undermining factors, eradicating them and helping small businesses rekindle their vitality. In my search for fresh ways of bookkeeping & accounting I test new ideas on my own business. My search for easier, faster, accurate data processing has led me to technology driven bookkeeping and record keeping. Facebook fans 272. Twitter followers 41. USA About Blog BookKeeping Express (BKE) provides accounting & bookkeeping services. Check out our blog for company updates & tips on running your business. Facebook fans 661. Twitter followers 1,078. Belleville, Ontario About Blog Browse through the blog to find bookkeeping solutions for your business. Facebook fans n/a. Twitter followers 952. Whangarei NZ About Blog Ontrack news, events, Xero tips and accounting and bookkeeping tips from Ontrack Bookkeeping - guaranteed to make your bookkeeping a breeze! Facebook fans 346. Twitter followers 666. Oklahoma About Blog I started Pocket Protector Bookkeeping in 2012 to provide a virtual bookkeeping solution for small to medium-sized retail and professional services businesses. Facebook fans 205. Twitter followers 667. About Blog Keep up to date with the latest bookkeeping and accounting trends with the LedgersOnline blog updated weekly by accountants and bookkeepers. Facebook fans 137. Twitter followers 596. Arizona, USA About Blog Read some of our blog posts on a variety of topics ranging from finances, bookkeeping, taxes, technology and many more tips for you business. Facebook fans 229. Twitter followers 300. Hitchin & London About Blog Keep up to date with the latest news and stories from the bookkeeping and payroll industry in Barnet and Hertfordshire. Facebook fans n/a. Twitter followers 1,963. Beaverton, OR About Blog Gina Brooks is the President and Founder of Gina's Bookkeeping Service. Our primary goal as a trusted advisor is to be available and to provide insightful advice to enable our clients to make informed financial decisions. Facebook fans 32. Twitter followers 1,391. Boulder, CO About Blog At ALOEwerx, we provide ultra-low-cost, nationwide, online bookkeeping, accounting and tax preparation services to a wide-variety of small businesses, franchises, and self-employed independent contractors & freelancers; CPA (your dedicated Account Manager), Accountant and Bookkeeper included! Facebook fans 26. Twitter followers 40. Mississauga, ON About Blog Get Professional accountants to manage accounting & bookkeeping services of your business at affordable fees in Mississauga, Etobicoke, Brampton & GTA. Facebook fans 11. Twitter followers 2. Edmonton About Blog Read our bookkeeping and financial blog for the latest ideas and information for your business. Stay current on issues that matter most to your bottom line. Facebook fans 362. Twitter followers 58. New York, NY About Blog Moxie Bookkeeping provides reliable bookkeeping and consulting services to small businesses, artists and non-profits in New York City. Moxie’s team works closely with clients to understand their finances, as well as their work and values. Through this comprehensive approach, we take care of clients’ books and create systems that strengthen their work. Facebook fans n/a. Twitter followers 281. About Blog Whether you are an Electrician, Plumber, Layer , or indeed anything in Between, Luke and his team at ACT Bookkeeping Group can help you. Melbourne, Australia About Blog NOVA Bookkeeping Pty Ltd was established by Dale Wyatt in January 2003 and initially provided simple bookkeeping tasks for a few small-business clients. Read the blog for all your bookkeeping needs. Facebook fans n/a. Twitter followers 200. Bristol, UK About Blog Find accounting and bookkeeping information for all your business needs. Facebook fans 145. Twitter followers 522. Sugar Land, Texas About Blog B Meyer Bookkeeping Solutions, LLC is a highly skilled Sugar Land, TX bookkeeper offering innovative bookkeeping solutions for small business owners. Our mission is to remove financial obstacles and skillfully manage your finances to improve your business and your bottom line. Facebook fans n/a. Twitter followers 646. Sydney, Australia About Blog Our mission statement is to help small and medium sized businesses run more effectively and profitably by offering experienced accounting, financial and administrative services. Facebook fans 68. Twitter followers 153. About Blog My blog is dedicated to all things bookkeeping. From small business to non-profits and everything in between. Facebook fans 107. Twitter followers n/a. About Blog Get On Top Bookkeeping will take care of every aspect when it comes to your Bookkeeping needs whilst you continue to do what you do best. We have over 15 years’ experience in bookkeeping - starting from one bookkeeper in 2000 to now where we have a dynamic team of highly trained experts, ready to help you Get On Top of your bookkeeping. Facebook fans 74. Twitter followers n/a. Cape Town About Blog Cherine is the owner of The Bookkeeping Company located in Cape Town. Check out the blog to find useful insights on bookkeeping. Facebook fans 45. Twitter followers 1. About Blog Visit the blog to find useful bookkeeping articles for your business. Facebook fans 9. Twitter followers n/a. Acton, Ontario About Blog Michele is the Founder and President of Simply Bookkeeping. Find useful information for small, medium and large businesses. Facebook fans 54. Twitter followers 1,035. 3639 Harbor Blvd. Ventura CA About Blog JR Bookkeeping is a full-service accounting firm in Ventura, CA, providing financial peace of mind so you can focus on growing your business. Facebook fans 287. Twitter followers 23. About Blog Befree is one of the largest bookkeeping companies in Australia. Befree was established by accountants in 2006 to meet the ever growing shortage of quality bookkeeping service providers. Vancouver, BC About Blog Check out our blog covering all things accounting, bookkeeping and taxes and find out the useful information Homeroom Small Business Solutions has to offer. Facebook fans 325. Twitter followers 485. Melbourne, Victoria About Blog Amy Hooke is a bookkeeper and business coach who works aspiring leaders discover their identity, tribe and cause so that they can impact the communities that matter to them through sharing their products and services. Facebook fans 214. Twitter followers 58. 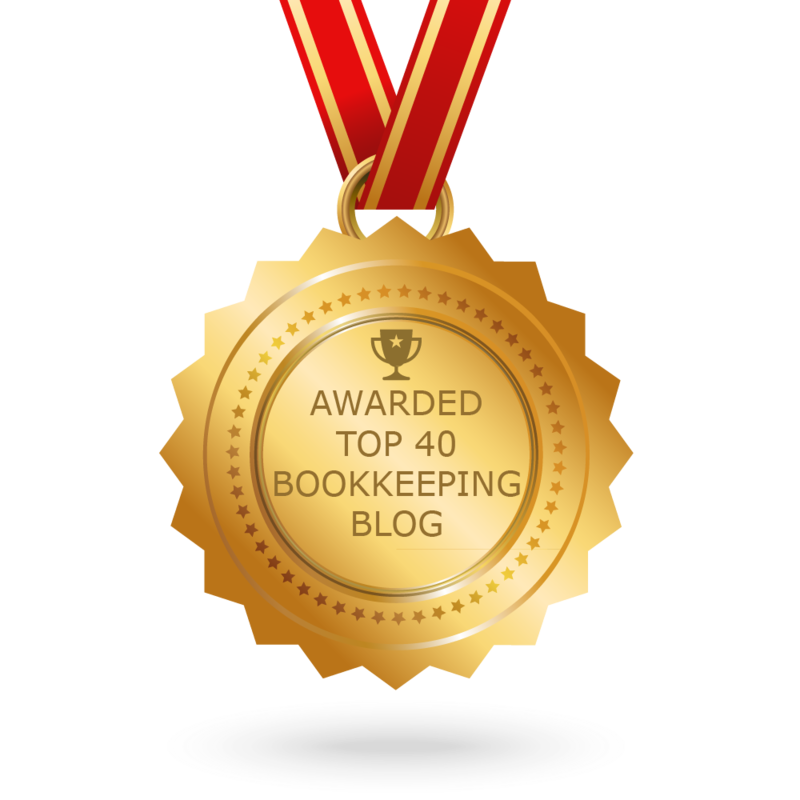 CONGRATULATIONS to every blogger that has made this Top Bookkeeping Blogs list! This is the most comprehensive list of best Bookkeeping blogs on the internet and I’m honoured to have you as part of this! I personally give you a high-five and want to thank you for your contribution to this world.